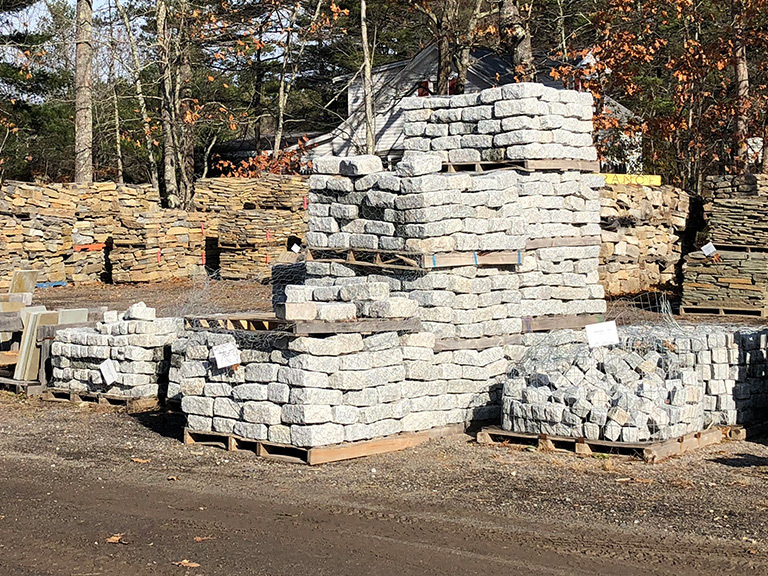 Quonset Hardscape, LLC, Maine Hardscape, Landscape & Softscape Center, Natural Stone, Precast Supplies, Granite, Slate, Pavers, Located in Woolwich Maine. At Quonset Hardscape, Inc. we are a family-owned business that specializes in softscape and hardscape supplies. We invite you to come by our supply center to learn more about our products and let us help you choose the best product for your project. 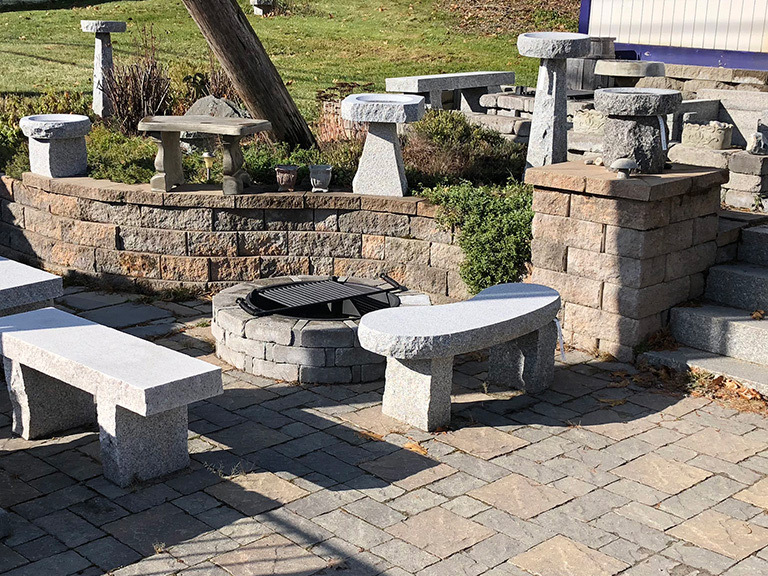 When it comes to natural stones and precast products you will find everything from small to large stones, precast retaining walls, and granite pieces including steps, walkways, fire pits and more. 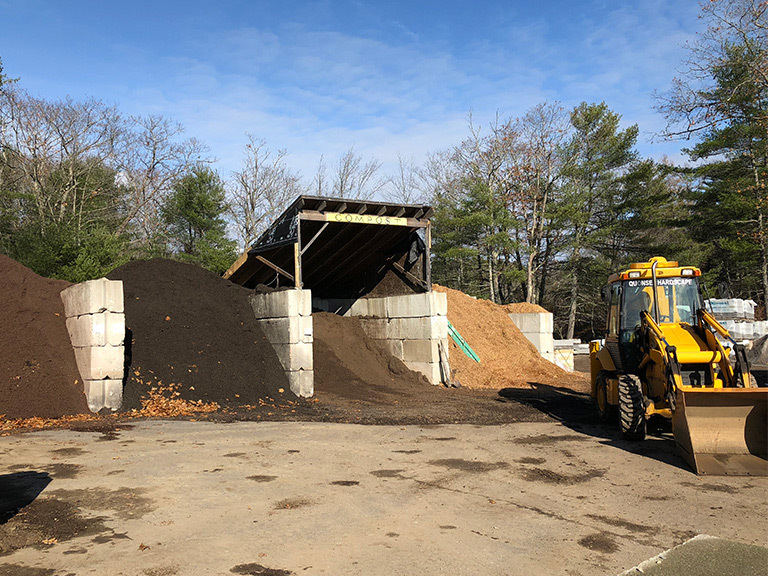 You’ll also find a large selection of sand, gravel, rock, loam and mulch. Regardless of whether you’re a homeowner, landscaper or contractor we will always go out of our way to provide you with great customer service. We know stone and have the experience to help you choose the best product for your application. We find the best products to ensure our customers satisfaction. Above are a few of links to some of the manufacturer's products we carry. You will find useful information and design ideas and we will be happy to answer any product and product installation questions you may have. Copyright © 2019 Quonset Hardscape, LLC. Design and hosting provided by PHD Consulting, a Maine company.